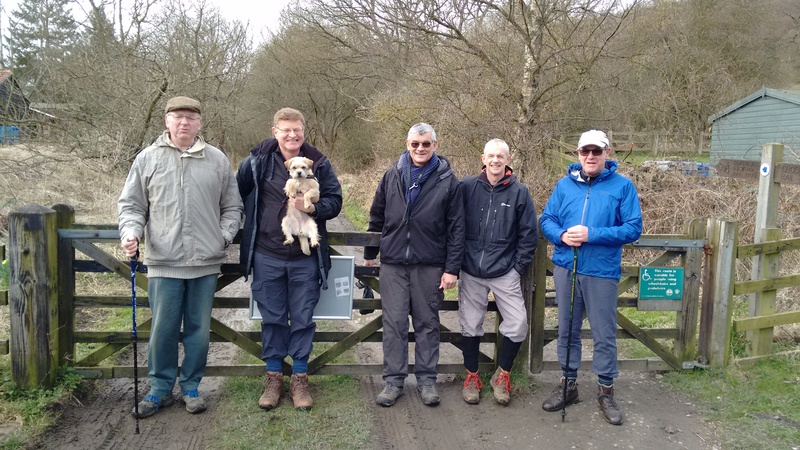 The WEC Strollers went on their second walk recently walking from Beck Hole, along the Rail Trail to Grosmont and then back through Bluebell Woods to Green End and Beck Hole. 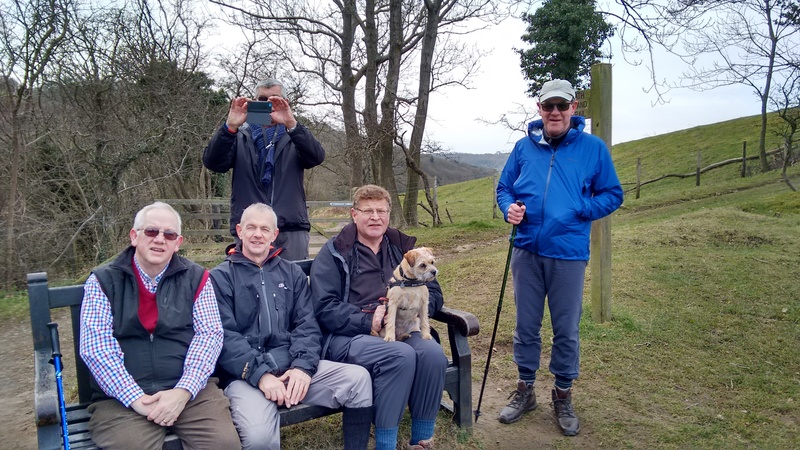 This time Dave Millar joined us (plus dog!) and we had an enjoyable ramble through the lovely countryside around Grosmont and Beck Hole. 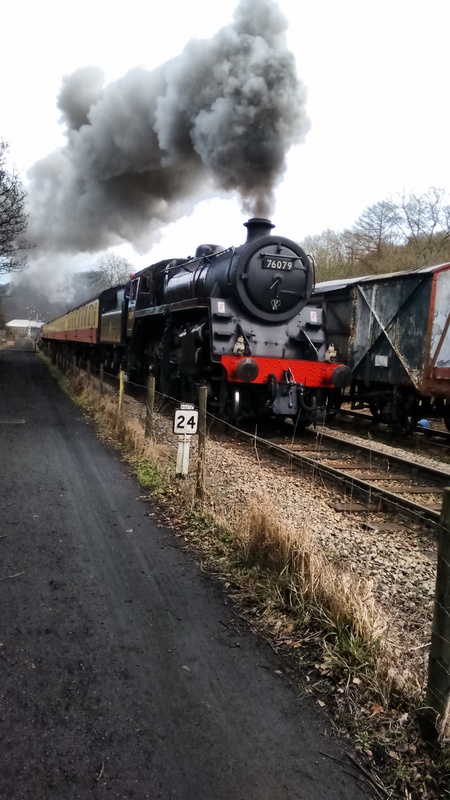 As you can see, we caught sight of a train at Grosmont too! Negotiating stiles was the most complicated part of the walk. Listen for news of our next ramble. Do join us! Here are some pictures of our walk. Taking a breather before walking into Grosmont! 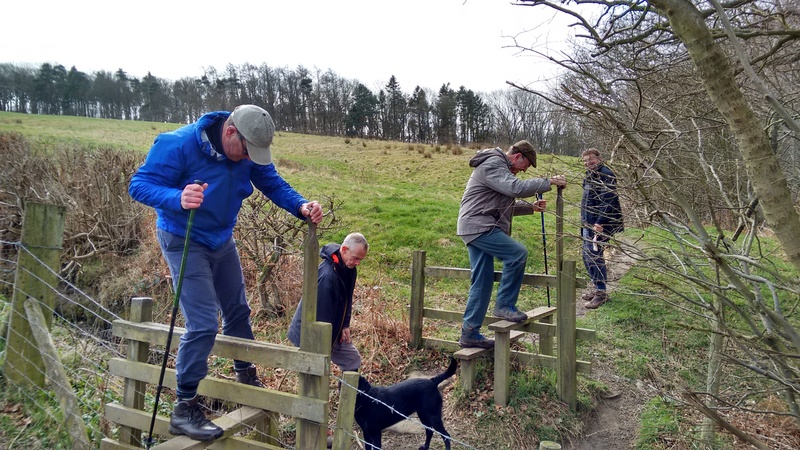 Negotiating some tricky stile manoeuvres on the walk!